In line with the concept of sustainable development which became common language at the World’s first Earth Summit in Rio in 1992, it is UNIDO's interest to ensure that all Chemical Leasing activities follow the principles of sustainability. In response, detailed Chemical Leasing Sustainability Criteria have been developed that must be fulfilled by projects in order to be considered as "Chemical Leasing" case. 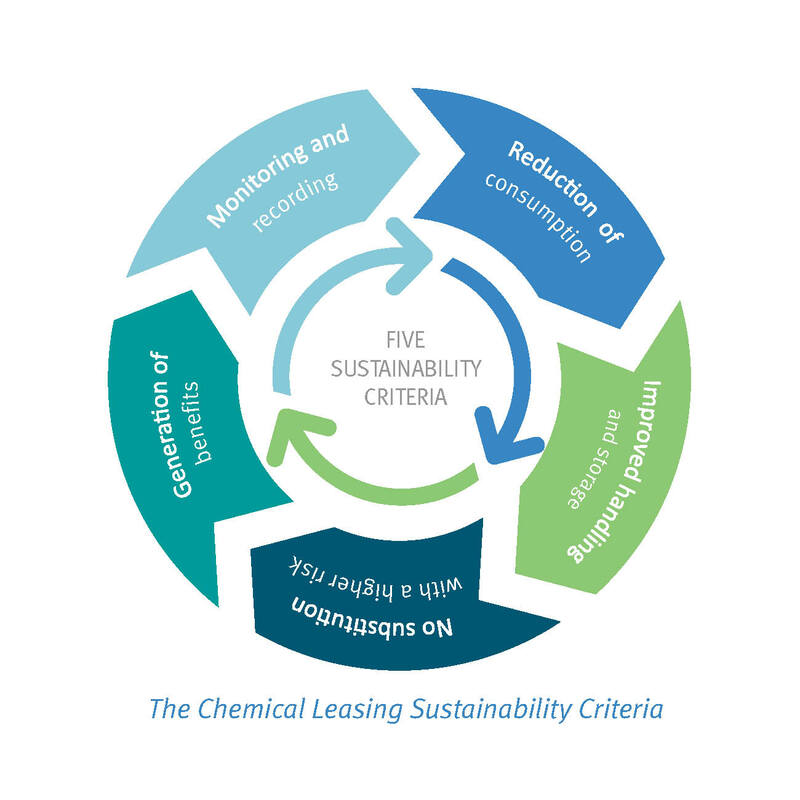 Five criteria were formulated by international Chemical Leasing experts as a result of the first national Chemical Leasing initiative driven by the German Federal Environment Agency in 2009. It is in the interest of all involved partners that a chemical leasing approach follows high quality standards. The set of sustainability criteria has proven to be very helpful not only for evaluating Chemical Leasing pilot projects after implementation but also in the negotiation and start-up phase before implementation at the company level. support to conduct a first assessment of indicators of Chemical Leasing activities and to document the UNIDO Global Chemical Leasing Award application. support in quantifying sustainability performance regarding the five sustainability criteria.